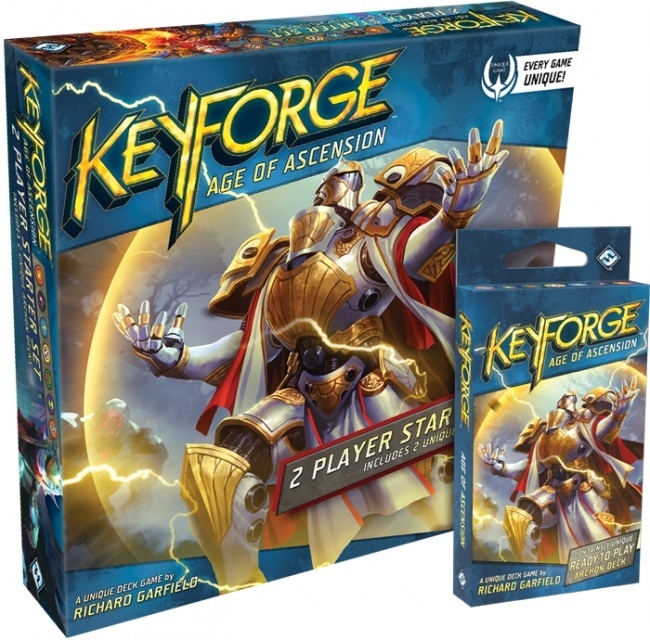 Fantasy Flight Games will release KeyForge: Age of Ascension Two-Player Starter and Archon Deck,for Richard Garfield’s hot new unique card game, in Q2. Age of Ascension adds 204 new cards to the cardpool, joining the 166 cards introduced in the Call of the Archons set. 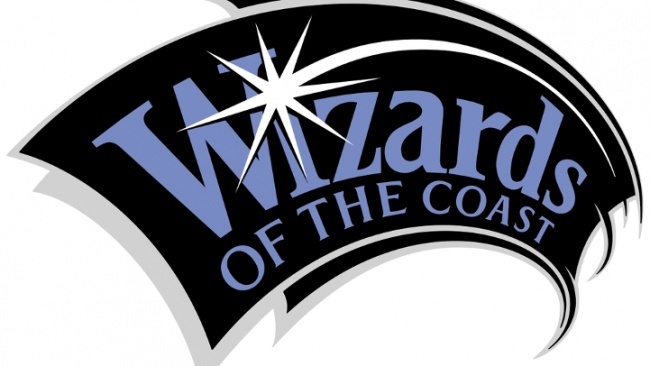 This is a companion release, not a replacement or sequel, so current players do not need to switch to new decks to remain competitive. Age of Ascension introduces new keywords, some restricting when certain cards can be played, or freeing the constraints of standard placement on others. There is also a new Deploy keyword to change how players build battlelines. Cards from Call of the Archons that don’t appear in the new set can be pulled forward as Legacy cards for a current deck to unlock new synergies. 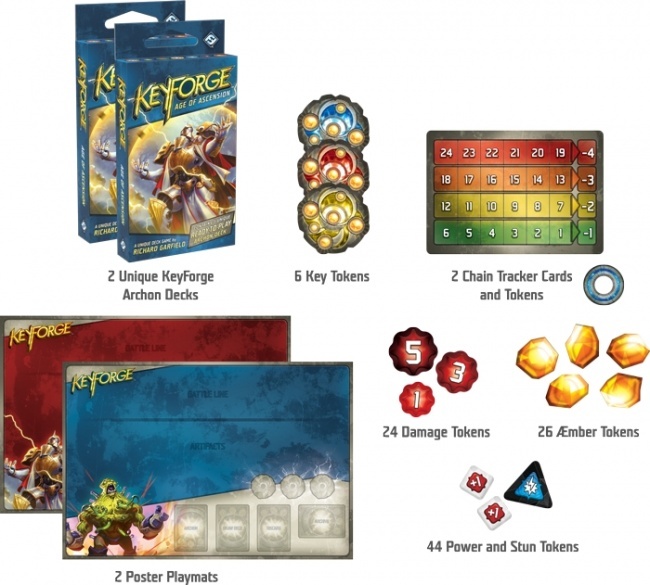 The KeyForge: Age of Ascension Two-Player Starter includes all the tools needed to begin -or expand- adventures on the Crucible: two unique Age of Ascension Archon Decks, a quickstart rulebook, two poster playmats and all the keys, tokens, and chain trackers required for two players to begin. Unlike the previous Call of the Archons Starter Set , the two Archon decks are not standardized learning decks. MSRP is $24.95. 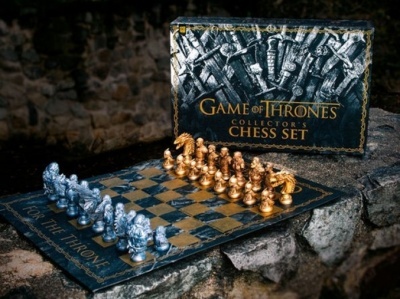 The game is for 2 players, ages 14 and up, and plays in 45+ minutes. 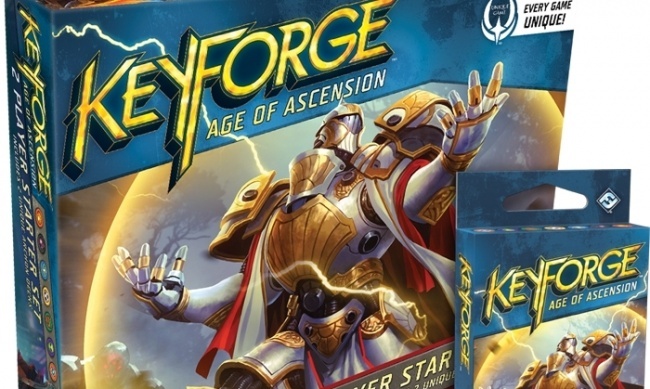 The KeyForge: Age of Ascension Archon Decks are each unique, and come with their own name, Archon design, and distinct mix of cards. 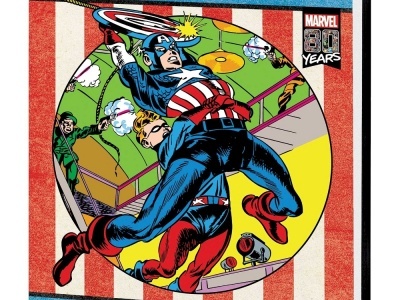 MSRP is $9.95. The singular deck-building game launched last year (see “Richard Garfield's 'KeyForge' Puts a New Spin on 'Unique'”), with Archon Decks that, while all including cards from three of seven factions, each faction subset is randomized and thus, each individual deck has a completely unique mix of cards. 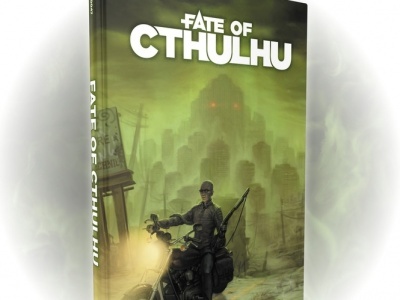 The seven factions of sci-fantasy races have gathered at the Crucible, to gather amber to forge keys that unlock knowledge of the ancient architects of their world, the Archons. With this knowledge, they hope to ascend beyond their current existence. KeyForge recently entered a new phase of organized play at the end of January (see “'KeyForge' Organized Play Enters New Age”).